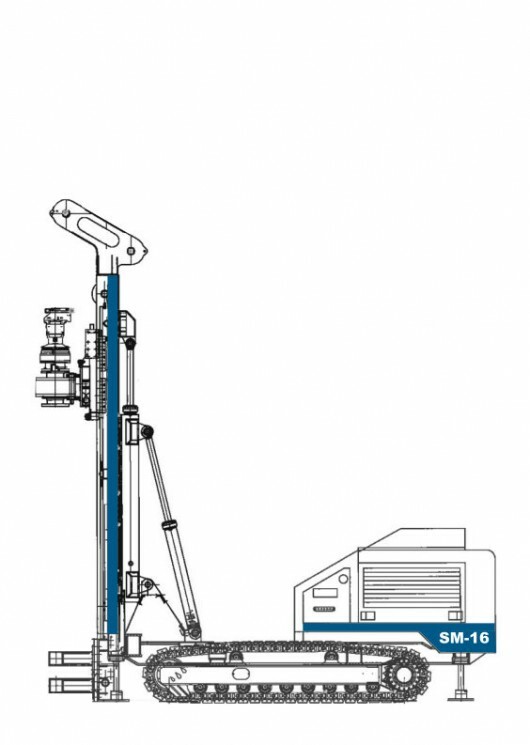 The Soilmec SM-16 is a restricted access drilling machine featuring two mast lengths, one for 6m length augers and one for low head room, both with a 200kN extraction force. The rig is suitable for up to 600 mm diameters auger drilling to a maximum of 6m length sections. The high torque rotary head has 45kNm maximum torque with the ability for 4” concrete injection through the head due to the large swivel and swan neck.